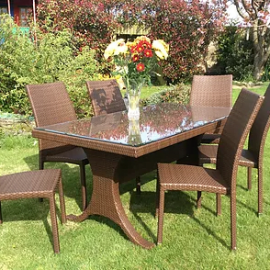 Garden Furniture are handy pieces to have in any garden. They look good in any size garden and add a lot of character to an outdoor space. 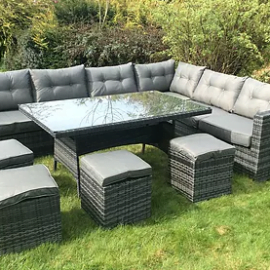 At Bigmickey.ie, we have Garden Furniture to match your preferred style and some even include a water feature. 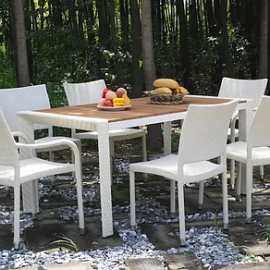 The Aaron Garden Dining Set comprises of a table and six chairs. 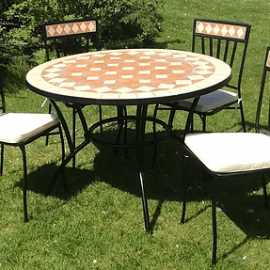 The Chris Garden Dining Set comprises of a glass top table and six chairs. 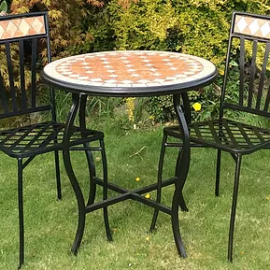 The Clayton Bistro Garden Set comprises of a glass top table and two chairs. Mosiac Garden Set- Comprises of table and four chairs. 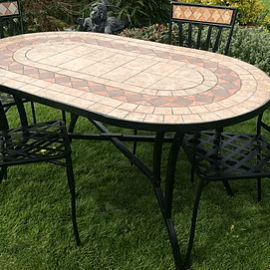 Oval Mosaic Garden Dining Set – Comprises of a table and four chairs. 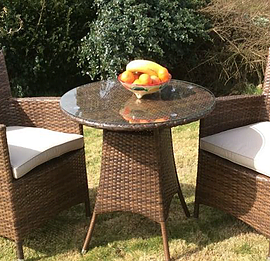 The Maxwell 10 Piece Dark Rattan Garden Set comprises of a glass top table, a large corner sofa and 4 stools. It is sure to provide style as well as comfort and function to any garden area. 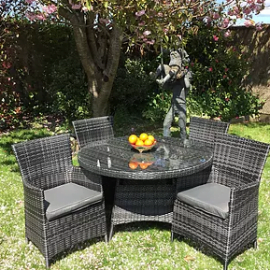 The Maxwell 5 Piece Dark Rattan Garden Set comprises of a glass top table, a large corner sofa and 4 stools. It is sure to provide style as well as comfort and function to any garden area. 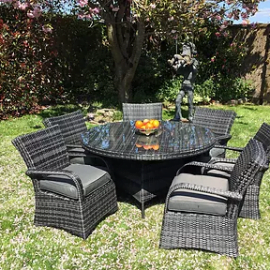 The Maxwell 7 Piece Dark Rattan Garden Set comprises of a glass top table and six chairs. It is sure to provide style as well as comfort and function to any garden area.